With 319 bedrooms, 6 restaurants and bars, Spa & Health Club and 22 conference suites, General Manager Mukesh Kumar has the huge task of ensuring all departments provide exceptional service to all guests. Recently announced as a finalist in the Manager of the Year category at The Caterer’s 2017 Catey Awards, we find out what a day in the life of General Manager of The Belfry entails. How has your career in hospitality lead you to The Belfry? I started my career as a Management Graduate at the Marriott International Hotel in Asia, from here my career in the hospitality sector progressed, working in three other countries and gaining a wealth of experience. When I returned to the UK I attained the position on Hotel Manager for the InterContinental Hotel Group in Birmingham and in 2015 I moved to the position of General Manager at The Belfry. I’ve been fortunate that throughout my career my dedication has been recognised with numerous awards including; Hotel Manager of the Year 2014, First Runner Up for Solihull Chamber of Commerce Business Employee of the Year 2016 and most recently nominated for Manager of the Year 2017 at The Cateys. What’s your typical day as General Manager at The Belfry? No day is the same at The Belfry, there’s always a something new and exciting scheduled each day. Despite this what never changes from day to day are the expectations of the guests and the high standard of service that is required. It’s essential for me and the team to make sure each guest has an unforgettable visit. In regards to my daily routine, every day I always meet with my team to discuss what activity will be taking place around the hotel for that day, as part of these meetings I also offer commercial guidance to ensure each department is operating to the best of its ability. As part of my daily schedule I review the business ahead, what large events we have coming up, arrivals and departures, any VIPs I need to be aware of and how many guests we are expecting. It’s imperative I know what’s happening throughout the resort each day. Every day I check through our customer experience reviews, it’s important for me to see feedback from guests and share this with the team, it’s a vital tool to understand what we’re doing well and if there are areas which require some improvement. What is the most rewarding part of being General Manager at The Belfry? Over the past couple of years the Belfry has undergone periods of rapid growth and change. The dedication of the team has enabled the pursuit of excellence to be achievable and to ensure this standard is maintained. For me, I get great satisfaction from seeing happy guests who make return visits and staff who are also happy and take pride in the work they do. 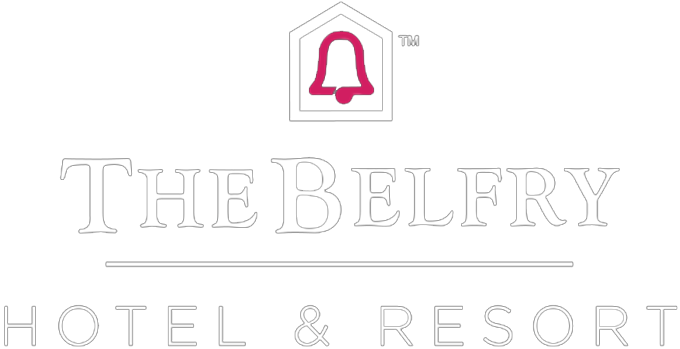 What would you say sets The Belfry apart from other hotel and resorts? The Belfry also offers consistently exceptional service and hospitality for all guests. This is spread across the whole spectrum, from conference and events, corporate golf days, weddings and special events to the spa, leisure club, leisure guests and all our many diners. The Belfry itself has unmatched heritage and history, being the only venue to host the Ryder Cup four times we have become a mecca for golfers alike. The greenkeeping team do an exceptional job to ensure the courses are at championship standard every day – which is no mean feat! From an events perspective we tailor all our events to meet the client’s specific requirements, it’s a very personal and attentive service, which I would say is unique in this industry. Have you noticed a change in the hospitality industry over the years? The hospitality industry is always changing and developing. It wouldn’t be as exciting if it wasn’t! There has been much more of a demand for the family market and the resort has had to adapt to this change, which we have done extremely well. Creating new promotional offers and ensuring we have the facilities to accommodate the increase in families staying at the hotel. I have also seen advances in technology within the hospitality industry and I’m sure this will develop more in the future. I think it’s fantastic if the technology used enhances the guest’s experience, but personally I’ve always believed face-to-face interactions with guests and building relationships is the core of the hospitality industry.